Located on the international border of Nepal, Siddharthnagar is forever buzzing with tourists. The city is also close to many relevant Buddhist sites such as Kapilavastu, Kushinagar and Lumbini. The spiritual travelers have always faced the problem of good hotels. In a hope to eradicate this problem various heritage hotels have been opened in the properties constructed before 1950. The heritage hotels of Siddharthnagar are an ideal blend of a royal heritage and located in the close proximity of the destinations associated with Lord Buddha. These hotels now cater to the needs of both foreign and domestic tourists. The modern Siddharthnagar is compared with the ancient Kapilvastu. The heritage hotels of Siddharthnagar combine the old world charm with the modern day amenities in providing the ideal retreat desired by tourists. 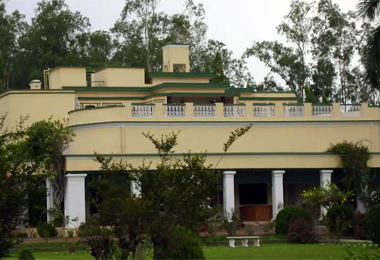 The Siddharthnagar heritage hotels are the perfect stopover for the Buddhist travelers and booking it through the HeritagehotelsofIndia online portal one can avail great discounts.